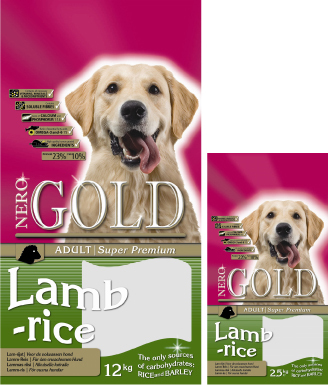 This traditional food has lots of tasty high quality lamb meat and is suitable for all dogs. 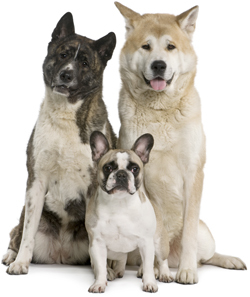 Because of its relatively light composition this recipe works also for senior dogs as well as dogs with normal or lower activity levels. Ingredients: dehydrated lamb (min. 24 %), rice (min. 14 %), barley, fish meal, beet pulp, flax seed, chicken fat, hydrolysed chicken liver, minerals & vitamins, yeast, chondroitine, glucosamine, L-carnitine, lecithin, inuline (FOS), taurine. Analysis: protein 23,0 %, fat 10,0 %, fibre 2,5 %, ash 6,5 %, moisture 10,0 %, phosphor 1,0 %, calcium 1,5 %. Added: vitamin-A (E672) 20000 IU/kg, vitamin-D3 (E671) 2000 IU/kg, vitamin-E (as all-rac alphatocopheryl acetate) 75 mg/kg, vitamin-C (as l-ascorbic acid phosphate) 20 mg/kg, E1 50 mg/kg, E2 1,5 mg/kg, E4 5 mg/kg, E5 35 mg/kg, E6 65 mg/kg, E8 0,2 mg/kg.